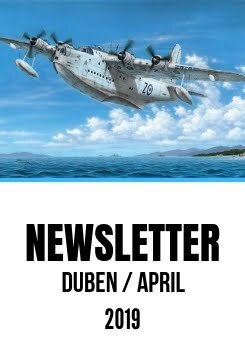 The previous instalment of our regular monthly Newsletter brought a model of the iconic Sunderland Mk.Vflying boat, and now Special Hobby’s May Newsletter is here again and this time with another massively anticipated model in the shape of the 1/72 SAAB Viggen. The first release of the kit called Duo Pack brings in actual fact two models along with a real treat, a nice photographic publication portraying the type from many various aspects. 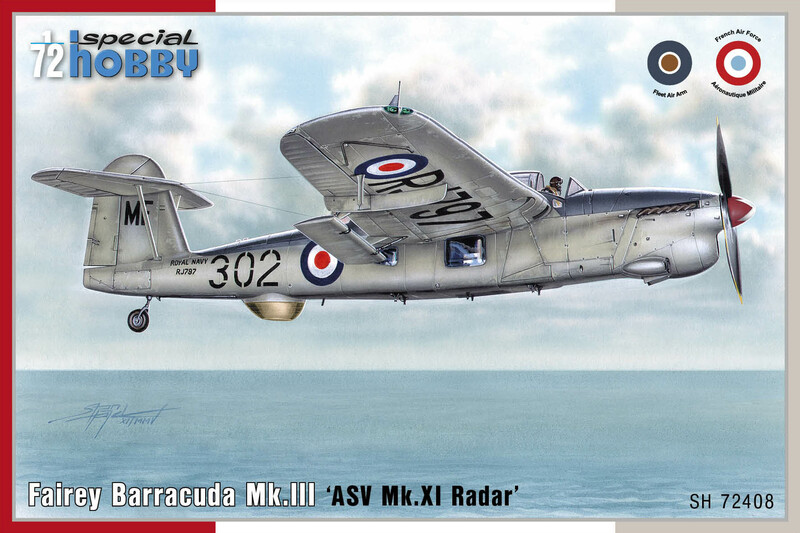 Besides this beauty, we have prepared for you a couple of interesting CMK sets, among them some follow on releases for the Airfix 1/48Blenheim Mk.I and 1/72 Sea King kits as well as first sets tailored for the 1/48 N1K-1J Kai, with more coverage of this Japanese fighter plane to follow later. Last but not least, our range of resin figures gets a welcomed boost, a German Luftwaffe ground crew member with a draught ox in 1/48 scale. This set is recommended to portray a German late war era airfield with military planes being pulled by this pair, but obviously can be used in many other sorts of dioramas. Our new 1/72 model of the French Super Mystere jet fighter has been prepared in cooperation with our partners at Azur-Frrom. The first two boxings released by Azur-Frrom of this model will offer French schemes, our own Special Hobby re-issues are to follow later this year, bringing the Super Mystere as operated by the IAF and you will find both types of engines in the model, enabling to build you both the original Atar-engined so-called „Sambad“ aircraft and the later „Sa’ar“ with a new and more powerful US engine and longer rear section. 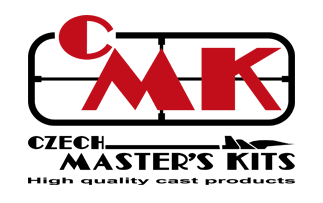 I also feel the need to briefly mention some of our upcoming project we are currently working on. 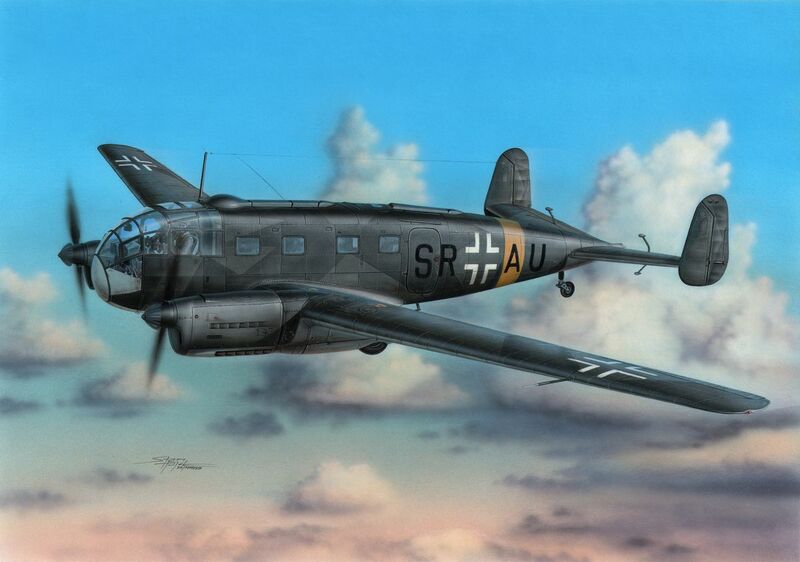 Due to be released this June is the first release of the German twin engined Siebel Si 204D in 1/48 and we believe many a modeller will welcome this model eagerly, given the response we receive on Facebook (www.facebook.com/specialhobby/) and our blog (www.specialhobby.eu) whenever any news related to this model is mentioned. 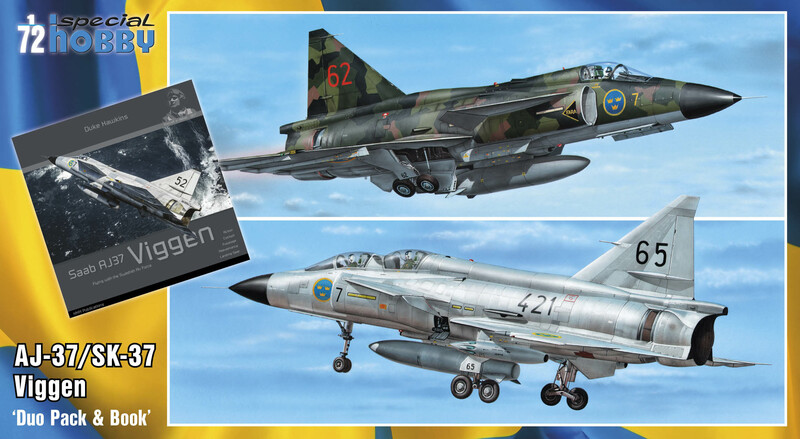 Having released resin pilot figures accompanied by injection moulded ladders, Special Hobby / CMK team are working now on a couple of sets which will definitely go nicely with our recently released Viggen kits. 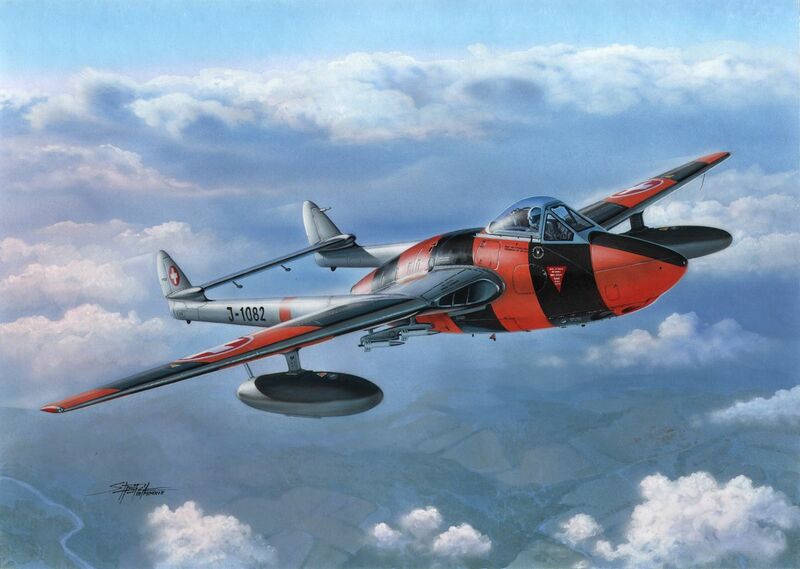 And a Hi-Tech release of the 1/32 Fieseler Fi 103/V-1 missile is to appear on the hobby shop shelves this June. Model of a British carrier-borne torpoedo and dive bomber, the Mk.III version had an ASV Mk.XI radar beneath its rear fuselage. 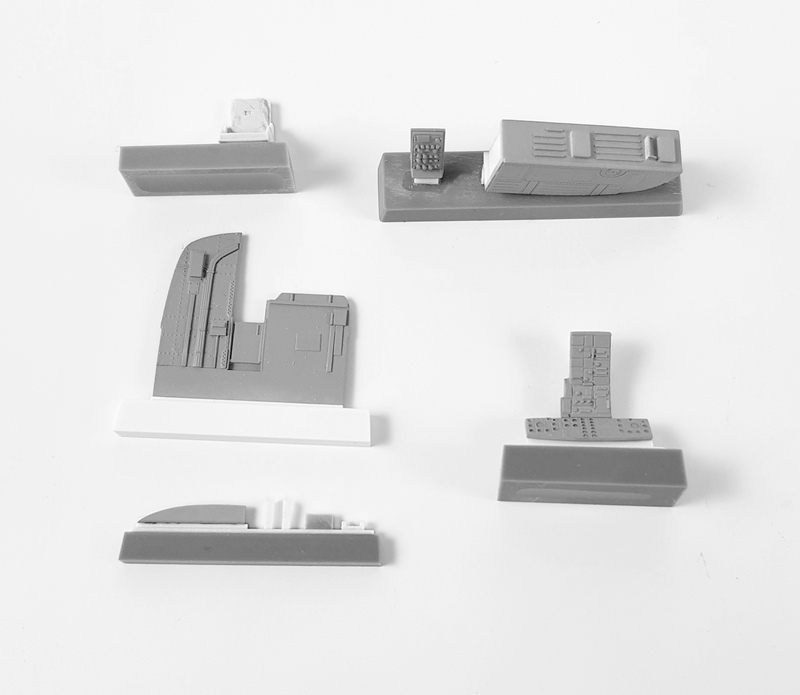 The kit contains: three injection moulded sprues, one clear plastic sprue, full colour instructions and a decal sheet. Decal sheet offers three British and one French marking option. 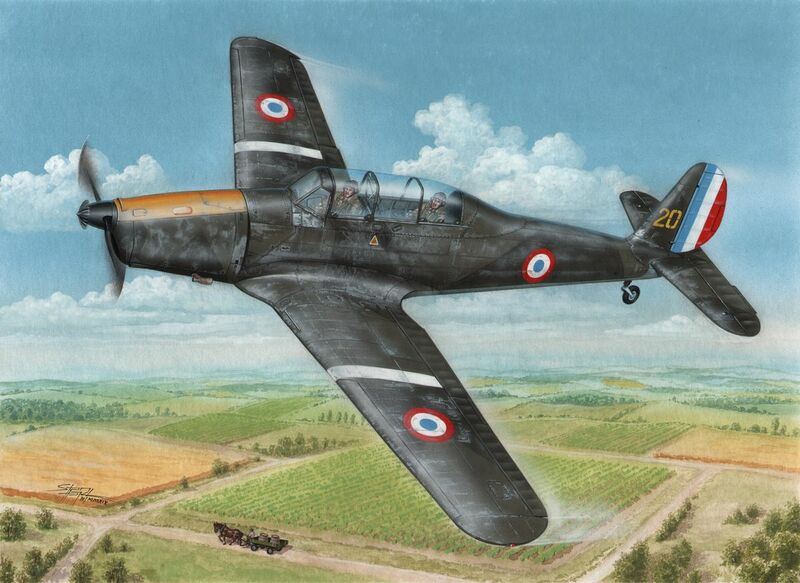 Model of a German WW2 trainer plane wearing colours of its Allied users and as flown in immediately post-war era. 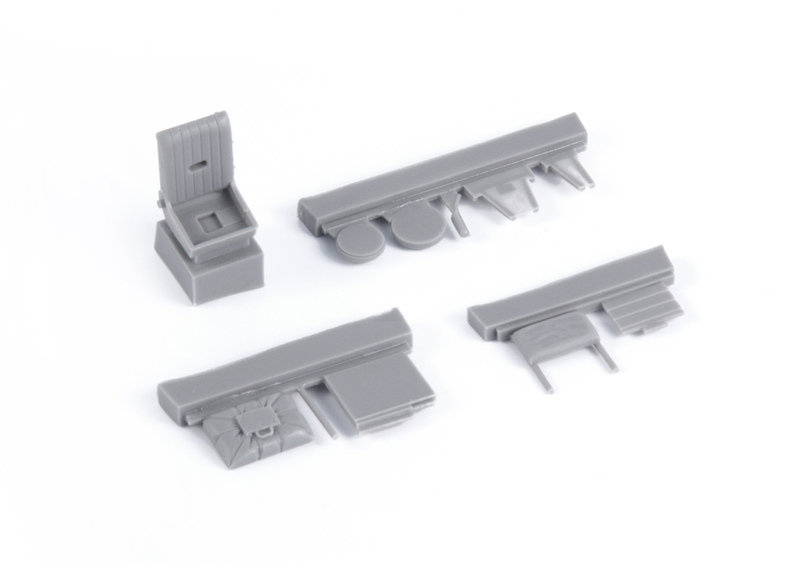 The kit consists of two sprues joined by a clear sprue, decal sheet, resin details and a pe fret. Finely detailed interior set tailored to fit the new Hasegawa’s rendition (with recessed panel lines) of the George, arguably the very best fighter plane of the Japanese Navy in WW2. The set contains also a pre-painted fret with the instrument panel and seat belts. Nicely detailed resin cast pilot’s seat and folding navigator’s seat joined by a pilot’s parachute housed above his seat. These new parts simply replace the kit’s original and somewhat simplified items. This set is an almost direct replacement of the kit’s rather simplified interior parts. 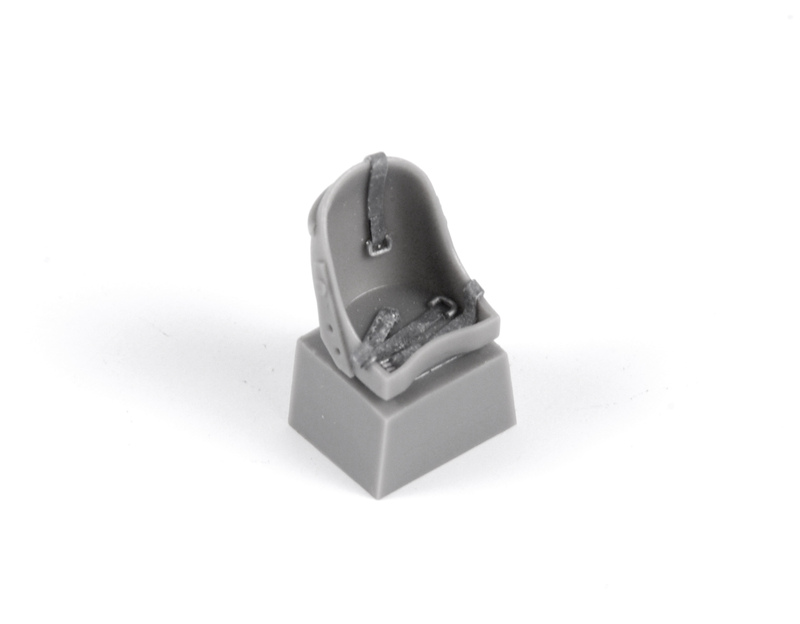 The new resin cast interior offers substantially higher levels of detail in its new crew seats, rear cockpit bulkhead, central console and ceiling panel. At the final stages of WW2, the Third Reich faced serious shortage of fuel and to save the maximum amount possible, draft animals were used for taxiing aircraft on airfields, too. Even the most advanced jet and rocket-powered military aircraft such as the Me 262 or Me 163 were often seen in 1945 being towed like a mere middle ages style ox cart. 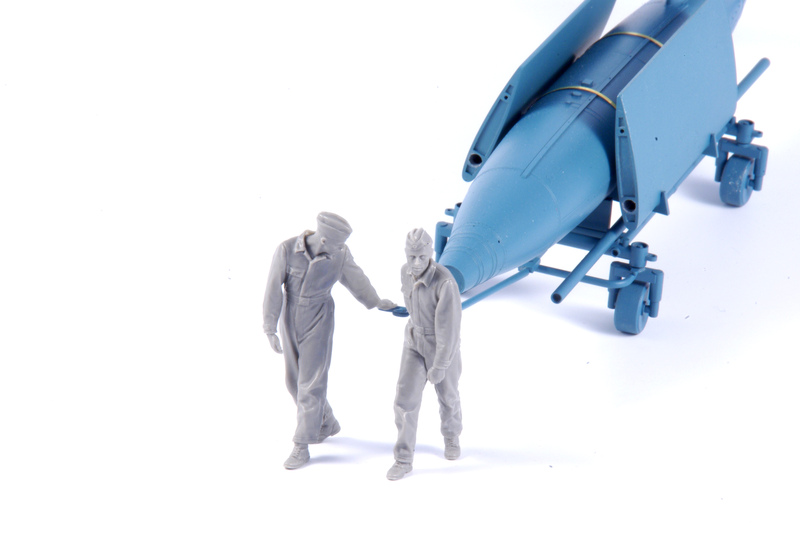 This set contains a figure of a Luftwaffe groundcrew with a draft animal ready to tow a Me 163 Komet on the airfield (the figures have been sculpted based on a period photo. However, a photo of a Bf 109G being towed by such poor animal exists too). The draft animal offered in our set can be used in any other type of diorama as well.At the final stages of WW2, the Third Reich faced serious shortage of fuel and to save the maximum amount possible, draft animals were used for taxiing aircraft on airfields, too. Even the most advanced jet and rocket-powered military aircraft such as the Me 262 or Me 163 were often seen in 1945 being towed like a mere middle ages style ox cart. 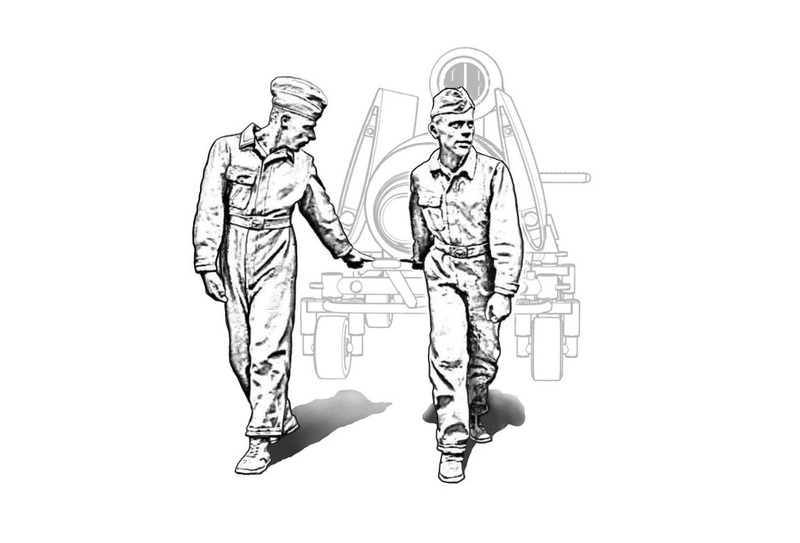 To accompany our Fieseler Fi 103/ V-1 a SH32074 Fi 103A-1/ Re 4 Reichenberg model kits, our designers have sculpted two Luftwaffe ground crew member figures who are, in quite a relaxed manner, pulling a trolley with the V1 missile. This set can be utilized in a differend kind of diorama, too. Finely detailed pilot’s seat with in-situ moulded belts directly replaces the plastic item in any kit of this Japanese fighter aeroplane. 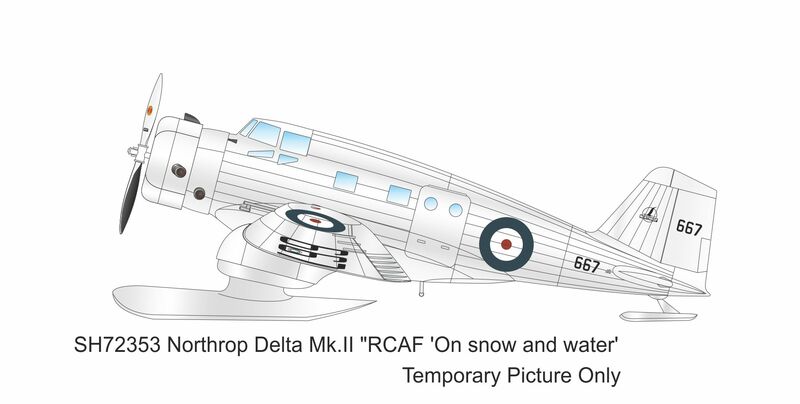 Delta Mk.II "RCAF - on snow and water"